Anyone who is a marine biologist will understand the stereotype people have of you. You must scuba dive daily, live on a tropical beach and swim with dolphins. Whilst some marine biologists do fit this, the majority of us spend most of our time in the company of numbers in an excel spreadsheet, with only a few days a year actually doing field work, if any. What a lot of people don’t understand as well is that you get a lot more information from these boring spreadsheets than scuba diving on coral reefs all day. The core building blocks for all science is data. Data, data, data, we simply couldn’t do science without it. Yes, it might not sound as glamorous as working at a turtle sanctuary in Mexico, but data work can have a much bigger impact on our world. Before I started my masters I hadn’t really given it much thought but by studying at the University of Plymouth I had an amazing opportunity which opened my eyes to the world of data. 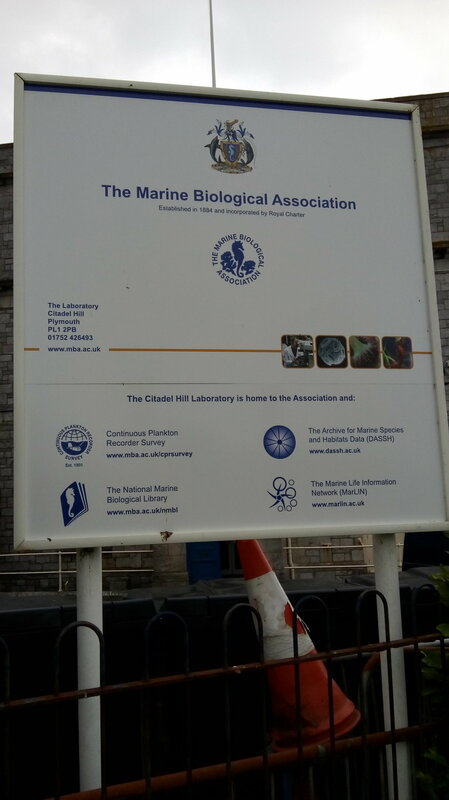 The MRes Masters course is jointly run between the University and the Marine Biological Association (MBA), so I thought it would be good to try and get some additional experience at the MBA. Our course gets to meet the various departments; one of them being the data team, who happened to mention that they took on volunteers. I’ll admit at the time I didn’t really think much about what they did other than it’ll look good on my CV. This volunteering was easily one of the best things I decided to get involved with whist in Plymouth. I had no idea how amazing this little department at the MBA was. They don’t just work with researchers at the MBA, but also with government departments. They run the MarLIN website (primary reference point for every marine biologist) and they operate the national biodiversity Data Archive Centre (DASSH), as well as working with the Marine Environmental Data and Information Network (MEDIN) to try and create a more open access data society. What does open data mean though? Well for anyone who has done an undergraduate research project, have a little think - what did you do with all that data you spent hours in the field collecting? I’ll bet it’s saved in a computer folder that in a couple of years you will delete. When it’s like that, no one can use it - what a waste of your time. It’s as bad as plastic, used once then thrown away! We know not to do that with plastic so why do it with data? Open access means once you’ve gathered the data, used it in your study, you then release it to the world so that anyone may use it. This stops studies being repeated, saves time and money and allows for bigger and better science research. Say for example you needed to do some research on species abundance on different types of shoreline. 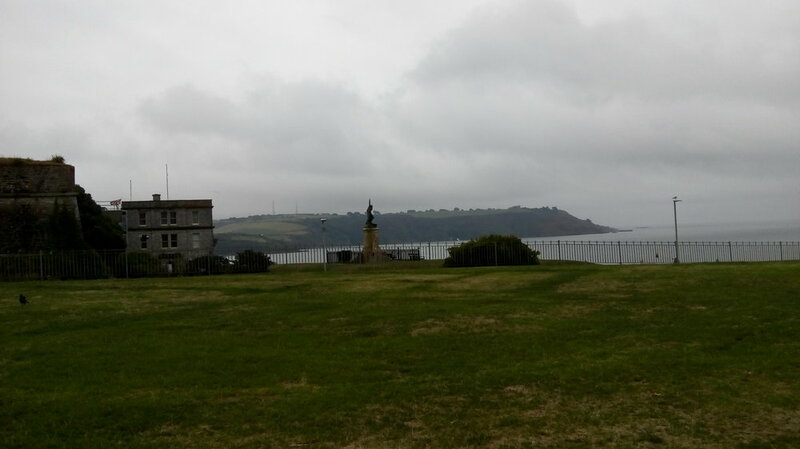 Yes you could go out and collect your data from several Plymouth sites, but through open access data you could source data about rocky beaches around Scotland and France, maybe even go as far as Australia and New Zealand. All of a sudden you can increase your data set and extend your comparisons to worldwide! The biggest limitations most studies have is physical time, effort and costs to collect data. By scientists using technology to share data we are able to strengthen our science. Charles Darwin and Alfred Russel Wallace in their own way were all for open access data, they regularly corresponded with each other, sharing their findings from their voyages around the world. By sharing their data they both came up with the Theory of Evolution. Sadly the internet wasn’t around for them so passing around data to any other scientists would have meant many very long letters, but I’m sure had the opportunity for open access data been around they would have been the first to share. In a way that is what my volunteer job was linked to. The data team has a fabulous set of ‘historical data’ – basically, data that predates the internet. My job was to convert extensive data sets from handwritten notes to full excel documents, these could then be submitted to MEDIN and used by scientists from around the world, instead of them being sat on a bookshelf collecting dust. Some people don’t like the idea of open access data in case someone uses their data and makes a big discovery with it. They see it as they’ve put time in to collecting that data, they own it and if someone wants it they should collect their own. Well that is really silly, plain and simple. That is just like saying “don’t teach university students - they might use our knowledge to make a big discovery. If they want to know something, they need to study and conduct all the experiments for themselves.” I would much rather be told how gravity works than have to conduct the same studies as Sir Isaac Newton did. Open access data means you can share your data and access other people’s to make new scientific discoveries. I had honestly not even thought about any of this until I got to volunteer with the fabulous MBA data team. They do such important marine biology work – yes, it’s not swimming with dolphins or rescuing injured turtles, but it is actually a lot of fun. I got to work with some great people and made some wonderful friends. Once I leave Plymouth I’m really going to miss working a day a week there. The work is really valuable and rewarding, after all, without data, science just doesn’t work.